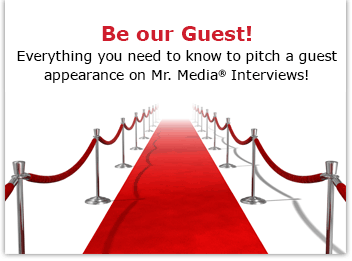 Mr. Media is recorded live before a studio audience of Tampa Bay Rays fans who wonder how many years of pasting the BoSox it will take for Harvey to write ‘Remembering Tropicana Field’… in the new new media capitol of the world… St. Petersburg, Florida! 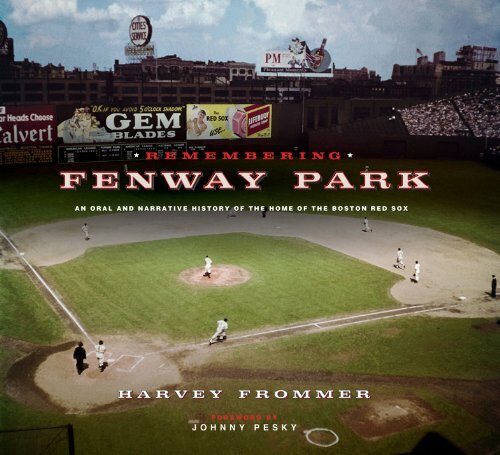 Order ‘Remembering Fenway Park: An Oral and Narrative History of the Home of the Boston Red Sox’ by Harvey Frommer from Amazon.com by clicking on the book cover above! As a Tampa Bay Rays fan, I wish we had a stadium as beautiful and legendary as Boston’s Fenway Park. But I take solace in knowing that just 13 years into its life as home of the Red Sox, even Fenway had its faults, right? Like Frommer’s previous book – Remembering Yankee Stadium – Remembering Fenway Park: An Oral and Narrative History of the Home of the Boston Red Sox captures all the pageantry, successes and humiliation that make a ballpark a home for legions and generations of fans. In his now familiar style of patching together a quilt of memories from ballplayers, managers, executives, fans and sportswriters alike, Frommer unwinds all the drama and even some of the silliness – I’m looking at you Manny Rodriguez, relieving yourself behind the scoreboard during a lull in the action – that gives character to concrete and steel. I’m not a Red Sox fan, but if I were, I’d want to find a copy of Remembering Fenway Park under my pillow in time for opening day. 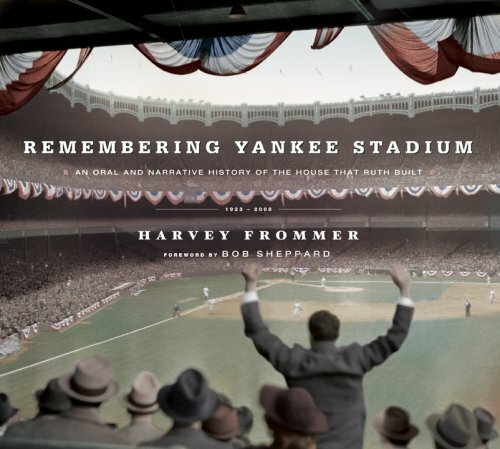 Order ‘Remembering Yankee Stadium: An Oral and Narrative History of The House That Ruth Built’ by Harvey Frommer from Amazon.com by clicking on the book cover above!